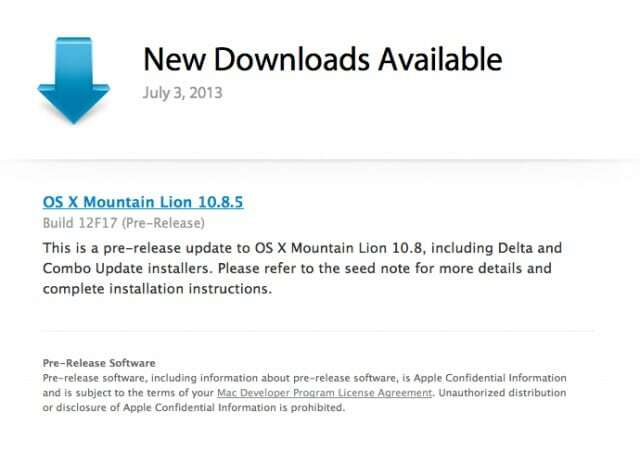 If you’re an Apple developer you can download the latest OS X Mountain Lion 10.8.5 Build 12F17 build. As reported by CultofMac, this build focus on Wi-Fi, Graphics, Wake from Sleep, PDF viewing, and Mobile Device Management. Developers can download this beta from the Apple’s developer website at developer.apple.com/downloads.